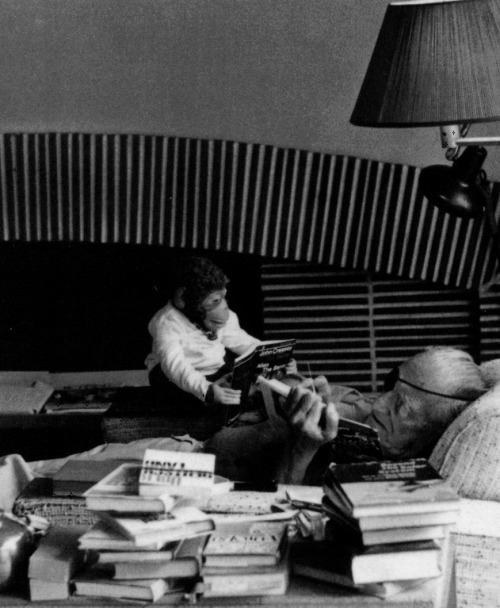 Fritz Lang & Peter the Monkey at home, c. 1960’s. 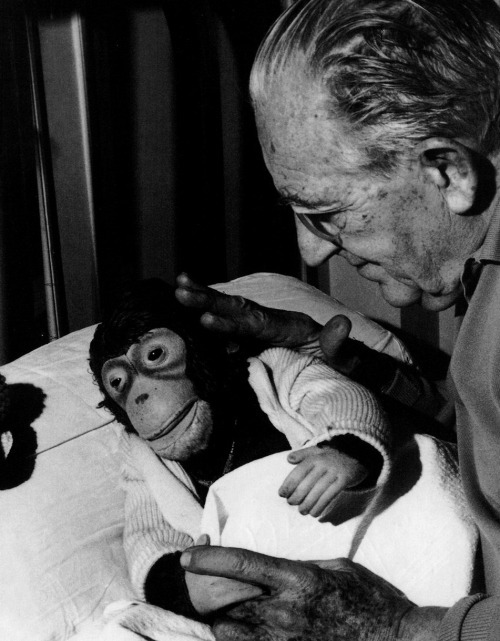 “Lang had a weakness for stuffed monkeys. His first one was probably a present from Gerda Maurus in Berlin. Even in production stills, a monkey can often be seen perched on a camera . [Film critic] Lotte Eisner once found herself in the awkward position of having to explain to Kurt Pinthus who Peter was: ‘It is, however, very difficult to convey Peter’s value to a serious scientist. So I alluded to the romantic element, that he had been given to you by a beautiful woman. Which he understood better’ (Dec. 3, 1968). Previous Previous post: On set of The Getaway by Sam Peckinpah! Next Next post: Romy Schneider in Clouzot’s L’Enfer!